Most of the changes to Sweldong Pinoy this year was on performance improvements and design enhancements. Here are some of the updates to Sweldong Pinoy throughout 2015. We have released Sweldong Pinoy for Minimum Wage Earners on April. 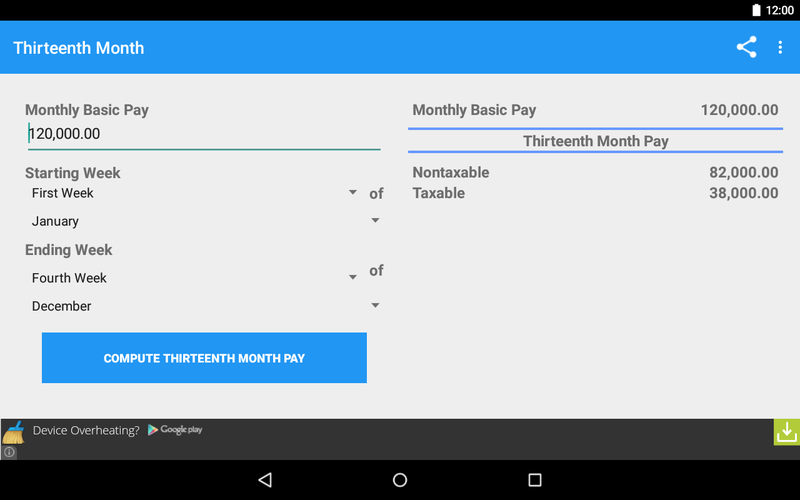 Our apps our apps will no longer deduct withholding taxes for employees earning minimum wage if you select "Minimum Wage Employee" in the Employee Type. 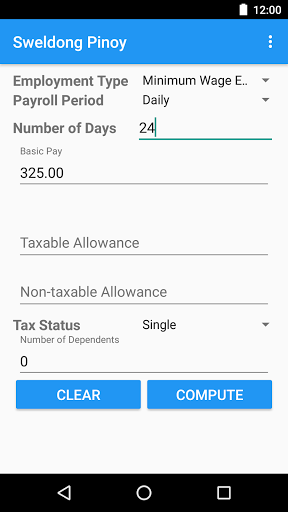 For employees with daily pays, you can now provide the actual number of days and the app will compute your salary based on this instead of the previous default of 20. This is because not everyone works for 20 days in a given month. 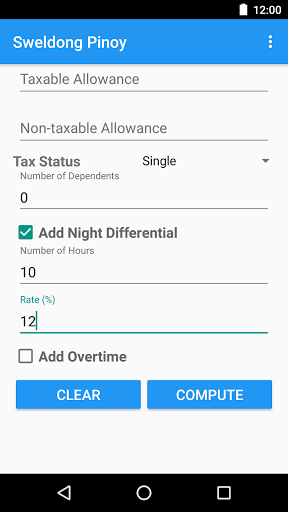 We have also improved the computation for the hourly and daily rates which are being used in salary computation, like the night differential and overtime pays. For Thirteenth Month, we had two updates to the apps: setting the ceiling for non-taxable thirteenth month to 82,000 pesos (pursuant to Republic Act No. 10653, which was approved on February 12, 2015) and computing for thirteenth-month pay based on the actual weeks inputted by the user. We are also working on another project. It is still in its early stage and we will let you know about it soon! We are continuously updating and improving the app. If you have used or are using any of our apps, help us improve by filling up our survey at http://survey.sweldongpinoy.com. You may also contact us directly.